Film fans are being encouraged to visit Malaysia and check out some of the set locations of the worldwide hit movie Crazy Rich Asians. The rom-com movie, which is currently wowing audiences across the globe, features an all-star Malaysian cast and provides the perfect showcase for some of Malaysia’s top sights as the main character brings his Asian-American girlfriend home to meet his family in Singapore. Only then does the girlfriend realise that her boyfriend is a “crazy rich Asian” and has to keep up with all the glitz and glamour, contend with weird relatives and gossip among envious socialites while trying to win over the heart of his domineering mother. The movie, adapted from Kevin Kwan’s book by the same title, is directed by Jon M. Chu, and has an all-Asian cast, including Malaysian stars Henry Golding as Nick Young and Michelle Yeoh as his mother, Eleanor Young. Shahrir Ali, director of Tourism Malaysia UK & Ireland, said: “Tourism Malaysia is super proud of the fame and glory shining on Golding and Yeoh, but equally excited that our country has prominently featured in many of the movie’s scenes. In the movie, Carcosa Seri Negara is the ancestral estate of Eleanor Young at Tyersall Park, but in reality, the twin buildings played an iconic role in Malaysia’s journey to independence. 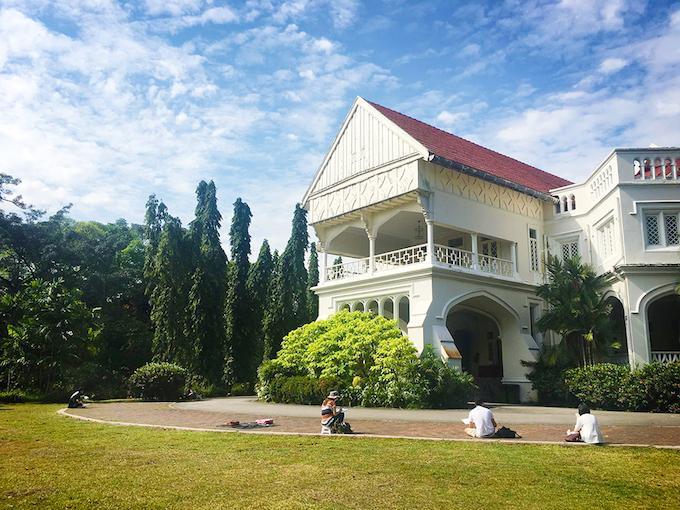 Historically, it was home to Malaya’s first British resident, Frank Swettenham, and later was made into a luxury hotel where Queen Elizabeth II once stayed, and socialites gathered for their popular afternoon high teas. The Kuala Lumpur mansion, located on a hill near the Perdana Botanical Gardens, is currently being transformed into the Asian Heritage Museum, which will contain a staggering collection of artefacts from China, the Malay Archipelago, and the larger region, including salvaged treasure from sunken ships, drums, keris and swords and more. Shots of Colin Khoo’s bachelor party were apparently filmed on Langkawi Island, referred to as ‘Rawa Island’ in the movie. Langkawi is actually a cluster of 99 glorious islands with beautiful emerald waters, stretches of white sandy beaches and geological formations that are said to be more than half a billion years old. It has been endorsed as a UNESCO Global Geopark, the first in Southeast Asia, thanks to the island’s stunning landscapes, karsts, caves, sea arches, stacks, and other geological formations. 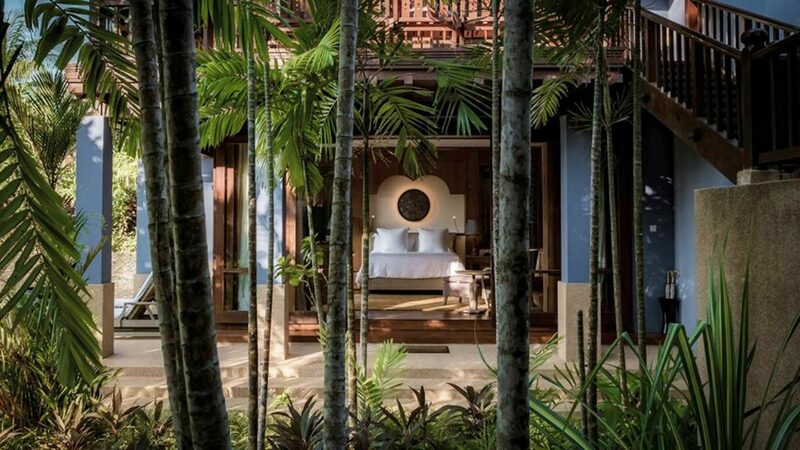 The plush hen party for Araminta Lee in the movie was filmed at the super luxurious Four Seasons Resort Langkawi. Parties aside, the classy resort also caters to those looking for peace and quiet amid natural landscapes and mile-long white sandy beaches. Tucked away within the Langkawi UNESCO Global Geopark, the resort is a cluster of Malay-style pavilions and villas that offer quiet, romantic havens for guests. Not many recognise The Astor Bar at St Regis Kuala Lumpur in the movie due to its transformation into a jewellery boutique, but apparently, it made the scene where character Astrid Teo (aka ‘The Goddess’) is introduced. 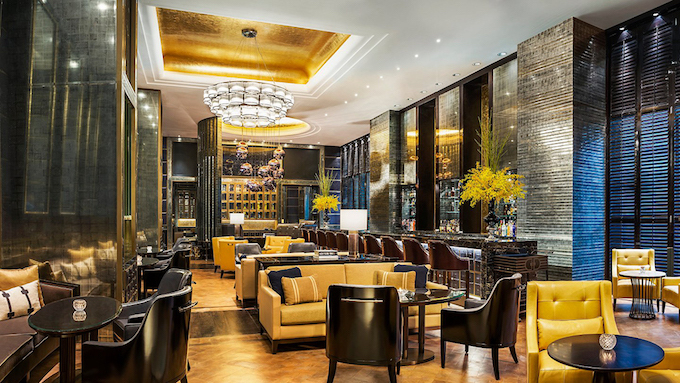 The bar, with its old-world charm and modern elegance of rich leather, black-and-gold marble and brass accents, is located within the recently-opened St. Regis Kuala Lumpur. Those wanting to re-live the Crazy Rich Asian moment may visit the bar and enjoy an extensive offering of champagne, spirits and fine vintage wines while smoking on choice cigars and sampling their signature dishes such as royal king crab served the highly-prized Oscietra caviar and truffle cream…all this under a breathtaking domed ceiling clad in handmade Italian gold tiles.